You must be a member of the Barcelona Latin Dance Group to attend this activity. Would you like to join this group? Welcome to one of the most elegant & trendy venues in Barcelona ! Let's all enjoy a FREE cosy Salsa/Bachata workshop & party right next to the beach. 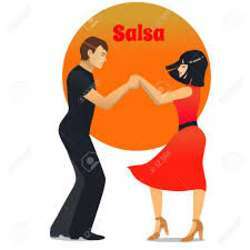 The Salsa/Bachata workshop (intermediate level and in Castellano) starts at 8PM sharp and lasts an hour. The social dancing starts at 9PM and ends around 11PM. You need to present an ID to enter the Casino. Once inside, you take the stairs to go to -1. I will meet you guys at the bar on -1 at 9PM (Room: Cotton Club) for those who are not planning to attend the workshop. There is a cloakroom at the entrance on the ground floor. If you have any questions, just PM or whatsapp me.